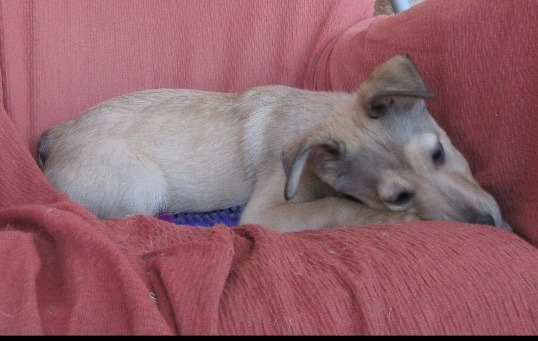 Puppy Jay (male) is one of Duas litter , all other brothers and sisters are reserved. Beautiful Jay will be ready to travel in April/May time when he will be approx. 4 months old. Like his mum Jay was born without a tail. The most confident of the pups. always first to come forward. Jay is a beautiful light colouring with a black necklace. A little fluffier than mum and we believe pups will be bigger than mum. Dad unknown.